is closed private club which offer high quality anonymous VPN access all around the world Providing secure and reliable way to surf Internet without borders. 1-Data Encryption : with a maximum of 2048-bit encryption. --Is an invitation only private club. 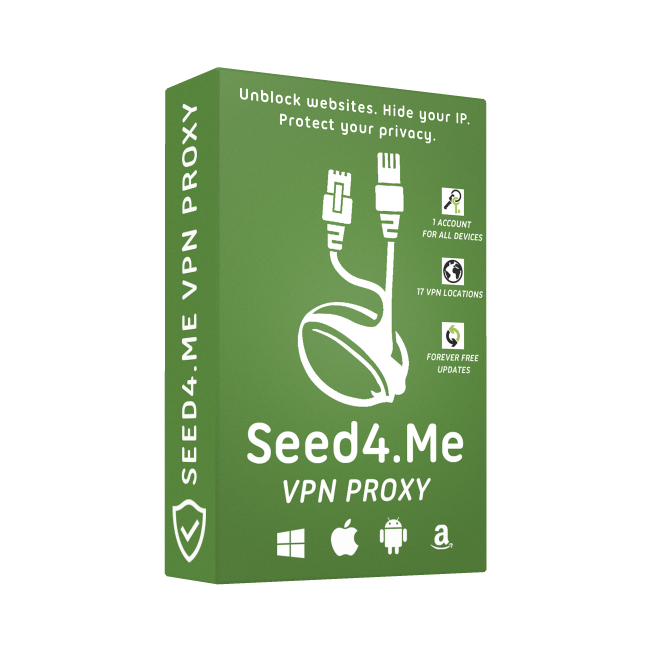 - You need an invitation to join, but if you download Seed4Me VPN app for any platform - you don't need invitation. -Automatic mode to establish a VPN connection right before any data is sent to the Internet when connection interrupted. - PPTP, L2TP for manual setup on any OS. Offers 19 locations to choose from: USA, UK, Canada, France, Russia, Switzerland, Sweden, Belgium, Ukraine, Bulgaria, Netherlands, Spain, Germany, Italy, India, Hong Kong, Singapore, Israel and South Korea.